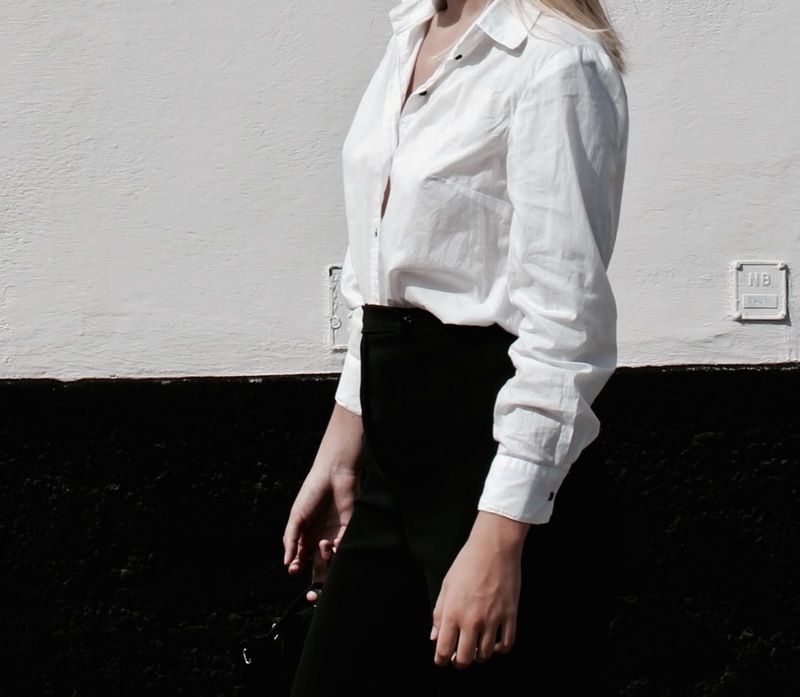 Created designs that are comfortable to wear and also easily matched with other designs in the wardrobe. The new collection VI are basic designs that goes with pretty much everything. The only design that I wanted to make a bit more playful is the printed mini dress and that one is easy to match with different accessories. 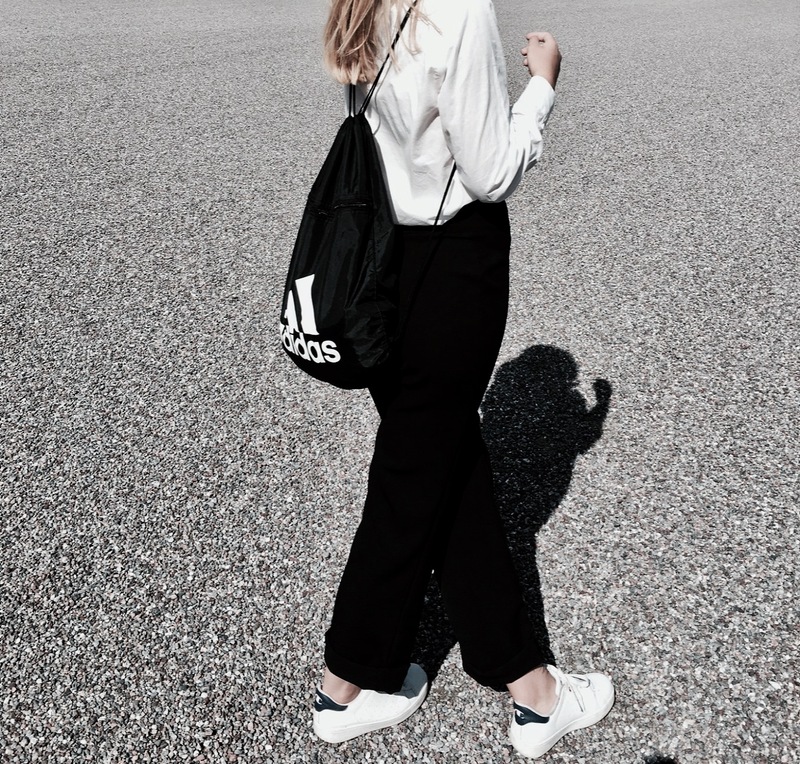 The pieces in these street style photos are the white shirt, the black trousers combined with an adidas bag and white sneakers.